Welcome to Deckstainhelp.com, your source for industry insights and tips for the perfect deck stain project execution. See below for our ratings of the best applicators for deck stains. We want to hear from you. What are your favorite applicators for deck stain and why? Leave us a comment below. Like with any job using the proper tools is half the battle. Deck staining is no exception. Using the best applicators for deck stains will make the job that much easier as well as give you better results. Most deck stains are fairly thin and runny so some stain applicator tools will work better than others. Brushes certainly have their place when applying deck stain. Use a brush for cutting in along edges and other hard to reach areas. A white china bristle brush works best for all oil-based stains, sealers, and wood toners. A large 4 or 6-inch brush like the Wooster Pro Stain Brush can be used to back brush large areas to give a more even finish. 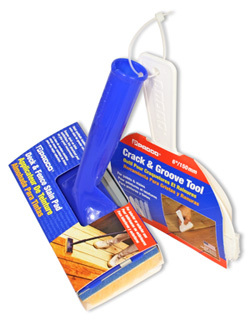 Use a special “crack and groove” brush for staining between fence or deck boards.